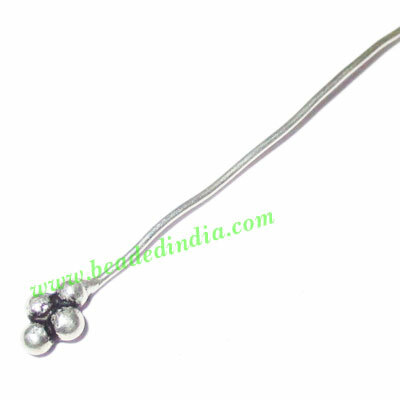 Sterling Silver .925 Headpin, size: 2 inch (51 mm), head size : 4x6mm, weight: 0.46 grams. Sterling Silver .925 Headpin, size: 1.5 inch (38 mm), head size : 8.5x5mm, weight: 1.01 grams. Silver Plated Brushed Beads, size: 16x16x9mm, weight: 3.28 grams. Leather Cords 4.0mm flat, metallic color - grey.